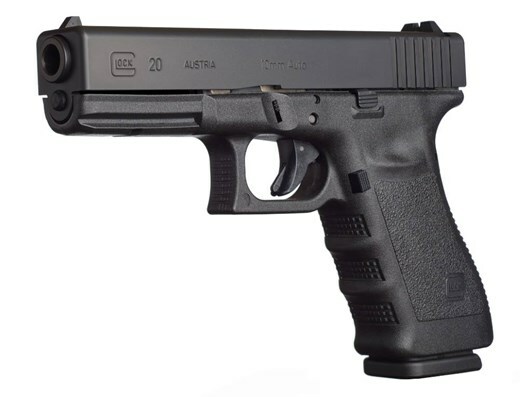 The GLOCK 20SF, in 10mm AUTO, provides nothing short of massive firepower. The use of GLOCK hi-tech polymer considerably reduces felt recoil. With muzzle energy of 550 ft/lbs and a magazine capacity of 15 rounds, this 10mm is your reliable companion on every hunt. The G29 also provides a safe and accurate finishing shot, even when hunting big game. The SF model reduces the circumference of the receiver at the rear, or "backstrap," offering increased comfort and control—especially to shooters with smaller hands.